In The Woman in the Window: Commerce, Consensual Fantasy, and the Quest for Masculine Virtue in the Russian Novel, Russell Scott Valentino offers pioneering new insights into the historical construction of virtue and its relation to the rapidly shifting economic context in modern Russia. This study illustrates how the traditional virtue ethic, grounded in property-based conceptions of masculine heroism, was eventually displaced by a new commercial ethic that rested upon consensual fantasy. The new economic world destabilized traditional Russian notions of virtue and posed a central question that Russian authors have struggled to answer since the early nineteenth century: How could a self-interested commercial man be incorporated into the Russian context as a socially valuable masculine character? 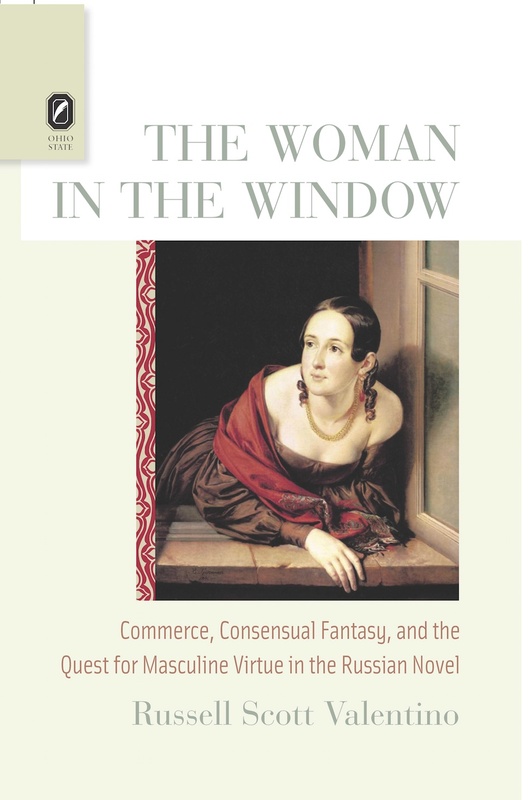 With chapters on Gogol, Tolstoy, and Dostoevsky as well as Pasternak and Nabokov, The Woman in the Window argues that Russian authors worked through this question via their depictions of “mixed-up men.” Such characters, according to Valentino, reveal that in a world where social reality and personal identity depend on consensual fantasies, the old masculine figure loses its grounding and can easily drift away. Valentino charts a range of masculine character types thrown off stride by the new commercially inflected world: those who embrace blind confidence, those who are split with doubt or guilt, and those who look for an ideal of steadfastness and purity to keep afloat—a woman in a window. I’m remembering a passage from Notes from Underground that I’m choosing right now not to go look up because I’m writing and have put a do-not-disturb sign on my door (which means you, too, Dostoevsky!) in which the U-man wonders if maybe people sometimes put off finishing things on purpose, maybe out of fear, as if completing something might mark the beginning of the end somehow. This struck me as true when I first read it as a youngster, and I still think it is, but like so much else, you see that it’s not that simple when you’ve lived a little more. The Woman in the Window took me a long time to finish, but I also never struggled to do so; I worked on it steadily, turning it this way and that, refining and shifting until I thought it was right and what I had was a shaped whole. Still, the most difficult time, I think, if not to say the most dangerous one for the project itself, was when I thought I could see the end. Was this on some deep level due to fear? I don’t think so, but it’s not easy to remember everything one feels over, oh, say, a decade or so. What I do remember is the feeling that, at certain moments in the middle, I knew what I was going to write, what I needed to write, that the argument was in a sense laid out in front of me and all I needed to do was “write it up,” as some social scientists sometimes refer to the final part of their research when the data is in, and they just need to conjure up some prose to present it. This is the most wrong-headed idea about writing there ever was, and I certainly wasn’t right in thinking that the argument and the words were somehow out there already and just needed to be put to paper (screen). But it was a palpable sense, and in that way, very dangerous because once you have an inkling of that sort of feeling, it is just a tiny step more to stop writing altogether: the outcome feels known already so why put it down, why go to all that work to slog through putting down something you already (think you) know? As I say, you don’t know, and it’s a false feeling, and it’s wrong-headed from the start to think of writing as something you use to put down a finished thought and not, what it is, a way of working through the thoughts themselves. This means that a thought, the thing you think you’ve come to understand, changes, develops, matures with each phrase and punctuation mark that you use to try and express it, that the answers to the questions you are working through are never formed until the last revision of the last draft of the last sentence is done. That is your best answer because you’ve finally finished the writing and revising, and you can’t work on it anymore. Not without a reprint, at least. Or a second edition. Oh, God, will this never end? 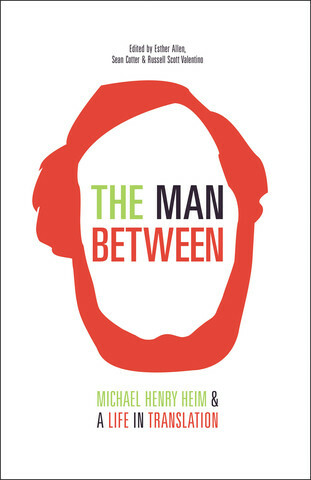 With chapters on Gogol, Tolstoy, and Dostoevsky as well as Pasternak and Nabokov, The Woman in the Window argues that Russian authors worked through this question via their depictions of “mixed-up men.” Such characters, according to Valentino, reveal that in a world where social reality and personal identity depend on consensual fantasies, the old masculine figure loses its grounding and can easily drift away. Valentino charts a range of masculine character types thrown off stride by the new commercially inflected world—those who embrace blind confidence, those who are split with doubt or guilt, and those who look for an ideal of steadfastness and purity to keep afloat—a woman in a window. Now some of this was culled directly from the reader reports solicited by the press (I won’t say which parts), but other parts have come into focus — it’s amazing how this can still be slowly clarifying itself in my head–only recently, namely, when I was composing the rest of the above statement.